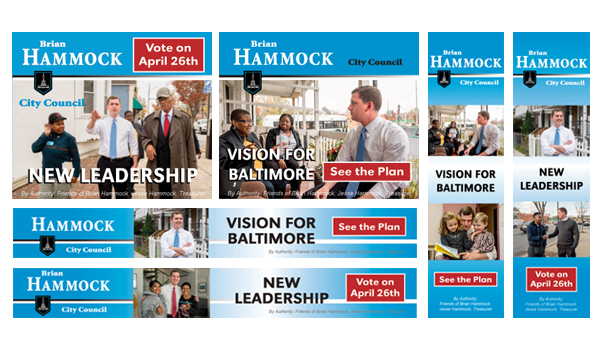 Good candidates are hard to find, but the 2016 primary election for Baltimore’s City Council had a great one: Brian Hammock. Brian ran a competitive race challenging the incumbent for the 4th district seat. 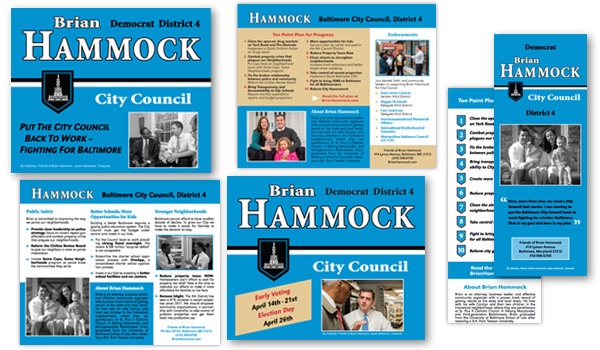 I was proud to have been enlisted to design his political campaign branding and collateral materials. 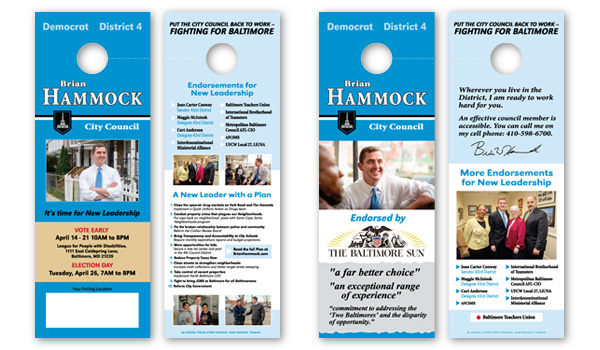 Not only did we develop the campaign’s logo, but extended the candidate’s visual identity through various manifestations. 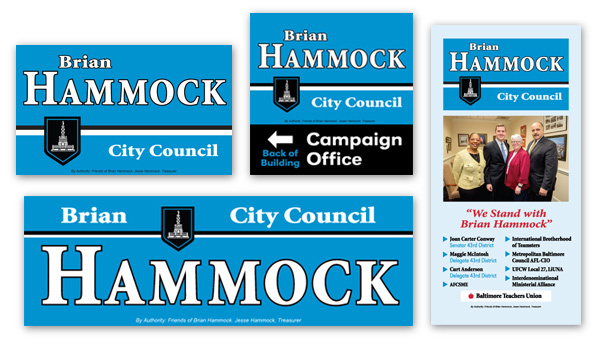 It ran the gamut: from traditional yard signs and bumper stickers to online advertising and social media assets. Brian ran a terrific campaign, and Baltimore is certain to be hearing more from both of us. Check out all the examples of the work we created together.